DMT | Education and Early Intervention Service – The Blog! Education and Early Intervention Service – The Blog! Things You Need To Know From Last Week - And A Few You Don't! Yes but…what are the others here for? Alongside the new governance arrangements the Trust Board also agreed to a proposal to recruit a specific Early Help Co-ordinator, which will be a new joint-funded post between the Council and the CCG. Jonathan will lead on the recruitment to the post which will start as soon as possible and once the post is filled it will be part of Jackie’s service for the purposes of line management and day to day operational oversight although of course ultimately it will report back to both the Trust Board and the LSCB. We will post more details on the specific functions of the role and on the recruitment as it progresses. Both management teams reviewed the feedback on the recent Children’s Centre and Youth Services consultations. Coming from those meetings we’ve been tasked with drafting up the final reports to members on both issues and within those reports we’ve been specifically asked to address in one case some localised feedback about one particular Children’s Centre and in the other to look at how we might prioritise and aggregate the very wide range of suggestions in the feedback about what the future provision of youth and adolescent services might look like. In addition, we have decided to have a couple of options worked up for how we best manage the transition from children’s to adult services for children with disabilities and we decided to make a formal proposal to Schools Forum for a central DSG funded service to support schools in managing and risk assessing outdoor activities and school visits. This will be on the agenda for the Forum meeting in early February. WHAT YOU DON’T NEED TO KNOW! Mixed in with the info from last week that might be of relevance and interest I’ve decided to include some random facts for you to know…. And learn! 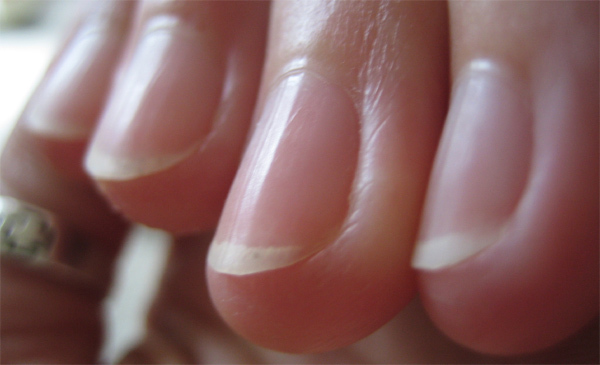 Firstly – did you know that your fingernails start grow faster in cold weather? We did an overview presentation to school governors at the Termly Chairs Briefing taking them through work to date and the reason for the emerging preference to set up some form of Joint Venture company between the Council and schools. Given that this is still subject to member consideration, we did not provide detail at this stage but focused on how we envisaged the new delivery model could work for and with schools. We also did a further update to managers in the Advisory and Inspection Service. The whole issue of change on this scale and to this extent is of course difficult for all of us to come to terms with but we found that the general response from governors was a willingness to consider the possibles and to do so with a relatively open mind. For staff that’s probably even more difficult but the feedback to me from the most recent update session is that a number of staff are now considering the scope for provision through a spin out with a more positive and open-ended approach and to that end we are now putting together some training for managers across services that might be part of the spin out so that people have more of the sorts of advice and tools that they might need to manage their services to be not only effective (as we do currently) but also financially sustainable into the future. Linked in part to the spin out, and perhaps more specifically to the implications for schools, I met with the Director of Southwark Diocese last week and we had a helpful discussion about academy conversions, trusts and the provision of School Improvement support and challenge. 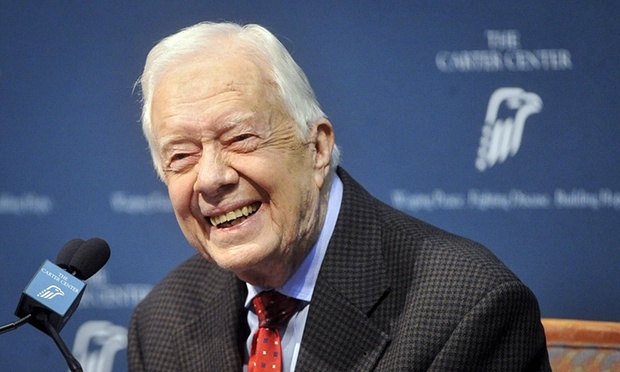 When Jimmy Carter was the American President, he once left the launch codes for their nuclear arsenal in the pocket of a suit he sent to the dry cleaners!!!! You will know that following the Council decision on land offers to any free school development, the Greenshaw Learning Trust declined the option to develop the free school for which they have agreement from the Education Funding Agency on the site made available at Sutton Hospital. As a result the CFE Committee have agreed that we would begin the detailed work on school vision and potential design for a secondary provision on that site, on the assumption that the Council might progress a new school development up to planning stage and potentially beyond that depending on decisions elsewhere. While there are likely to be further free school applications, and these may well end up being delivered on the hospital site if there is an approved application, we still need to progress it at pace in advance of any decision that the EFA might make. As a result Kieran was working with an education consultant to work up the design brief for a possible new school last week and in due course we will see that formalised and progressed to possible designs. I’ve been through the initial scoping work for the vision statement and design brief and think it already captures the key issues and components we’d want to see delivered in any new school. 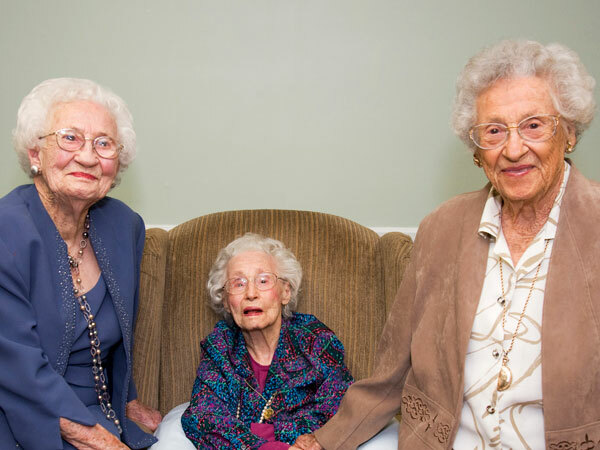 Of all the people in the world who live to be over one hundred years of age, four in every five of them are women!!! There’s a moral in there somewhere but I’m not keen to go looking for it! We had a scoping session for staff from Children’s Centres and from Youth and Adolescent Services last week, with an external facilitator from an organisation called Bryanston Square. The feedback from the session that I’ve had was that it was engaging and thought-provoking for most staff who attended. We recognise that while the session might have done much to engage and promote reflection, it did not give the opportunity to move on to developing possible concrete proposals for any redevelopment. We are meeting further with Youth and Adolescent Service staff this week to see if we can move that aspect of our provision on to a more detailed service redesign brief. HAVING STARTED WITH POETRY AND AUDEN………. …………………………………… I’m usually slightly sneering at the interest that my family seem to take in the minutiae of others lives in the TV programmes they watch – Real Housewives from just about everywhere, Big Brother, programmes about people choosing wedding dresses etc etc etc! I take this very high brow and intellectually superior stance that it holds no interest for me – and then a recent Tube journey taught me how wrong I was. A woman and what turned out to be her adult daughter sat opposite me at Epping. As we travelled into London they moved from standard chatter about how to make a curry paste and the new neighbours to suddenly discuss the woman’s ex-husbands – and I do mean plural! It was loud, matter of fact but utterly mid-boggling to me – I had my book open in front of me but read virtually nothing – instead I was captivated. At the point when I’m pretty sure they were discussing husband number 5 (!!!) I realised that I was at Tottenham Court Road – ordinarily that’s not a problem as it is the station before Oxford Circus where I usually get off – but on this morning I’d meant to get off at Bank!!! – but I’d been so engrossed in her marriages and divorces that I’d missed it and a few more stops thereafter!!!! I got off at Oxford Circus pretending that it was what I’d meant to do all along and having learned two things – I shouldn’t be so quick to judge my family and their fascinations with the lives of others and secondly…. What a dull life I must lead! Our Youth Engagement work is continually being developed and as part of it we took part in National Takeover Day this year. This programme, run through the Office for the Children’s Commissioner, allows young people the chance to work with adults for the day and be involved in decision-making. 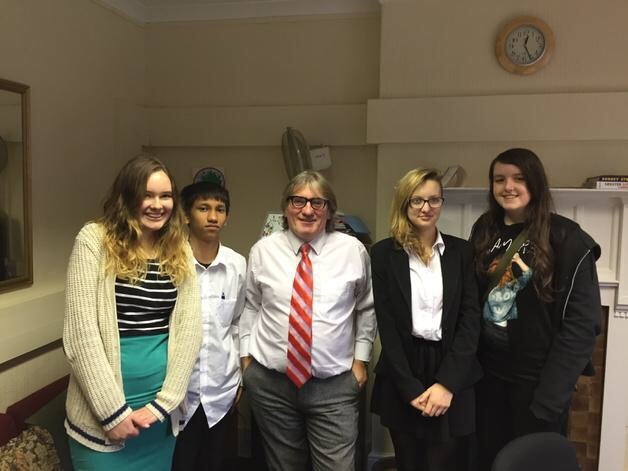 We had six young people join us this year, all candidates for the forthcoming Youth MP elections for 2015. The students were Oliwia Geisler and Rose Baker from Greenshaw, Granthick Barua from Wallington Boys, Erin Horsley from Wallington Girls, Ethan Smith from Stanley Park and Farida Augustine from Sutton High. As part of the day they got the opportunity to shadow managers in our division working with Claudette, Sharon and Paul at the Quad, as well as managers in other parts of the Council, working with Andreas who heads up corporate communications and Victoria who is the Head of the Chief Executive office. They also got to meet a group of elected members chaired by the Leader, Cllr Dombey and what was undoubtedly the highlight of the day for them – 4 of them had a short meeting with me! Mind you as much of my meeting focused on the travails of being a touch OCD, attention seeking and how it never leaves you, and a discussion on the merits of Batman, I have to admit that meeting with me might not have been at the forefront of their minds as a……………learning experience?! Is it a trick of the light or are all the young people taller than me?! We have a lot of attention focused on the role of our Children’s Centres at the moment and if anything, this is likely to increase quite a bit further in the next few months. Jackie and I have visited a number of the Centres to discuss how the providers will mitigate the impact of the recent Council decision to revise their funding by 14% in 2015-2016. In almost every case so far the Centres have found ways to avoid any direct impact on families in the short term by either making adjustments to their costs or by using their projected balances for the end of this year. The report to members on Children’s Centres Options for the future, making proposals about the role of our centres from 2016 onwards is in the final stage of drafting and will be considered byk members at the Children Family and Education Committee meeting on December 18th as planned. We’ve used the meetings with Centre providers to keep them informed of about the development of that Options Report, and it’s likely focus, as we have drafted it. A small group of elected members are now also involved in a series of visits and meetings about Children’s Centres for a Task and Finish Group review and they will use that experience and the perspective they have gained when members subsequently consider the Options Report. SALES OF THE ORENDA by JOSEPH BOYDEN! Well I’ve not heard of any sudden upsurge in sales of The Orenda, the novel about the Iroquois which I recommended to you all in recent briefings! So I am clear that in my campaign to prove the Booker Prize committee wrong I will get precious little in the way of back up from all of you! I’m not disheartened because I’m used to my recommendations being ignored – I’ve certainly had a lot of practice being ignored at home!! As ‘The Orenda’ isn’t your cup of tea (though it really, really, really, really, really, SHOULD BE!!!!! 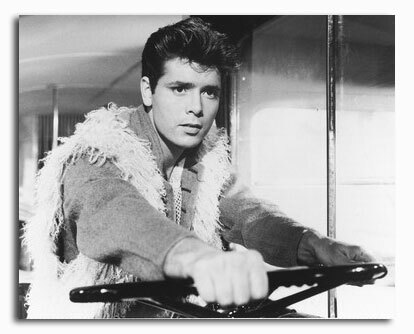 ), I have decided to recommend a film instead! I urge you to go see ‘The Imitation Game’, about the World War Two Enigma Code breaker Alan Turing. It’s a really great film and a terrific, though ultimately tragic story – and Benedict Cumberbatch really is as good as everyone says he is – don’t get me wrong I know he’s not the Adonis my family seem to think he is leading to mass sighing and ridiculous suggestions at home that he’s somehow better looking than me ( I’m not seeing it myself…..) but even I can admit……he can act! I’ve started a further round of joining in with Team Meetings. Last week I was fascinated to sit in on the Virtual Schools Team Meeting. I couldn’t help but be struck by how much the approach has been refined and targeted and I can see that we are now much better placed to track and influence LAC pupil attainment and progress. Later this week I’m looking forward to meeting the Family Information and Development Service, the Speech and Language Service and I’ve also got visits coming up to the provisions at Sutton Out Of School and the play service based at Lindbergh Play Centre. My travels are a perennial source of ennui and chaos usually – but occasionally they have a lighter side. 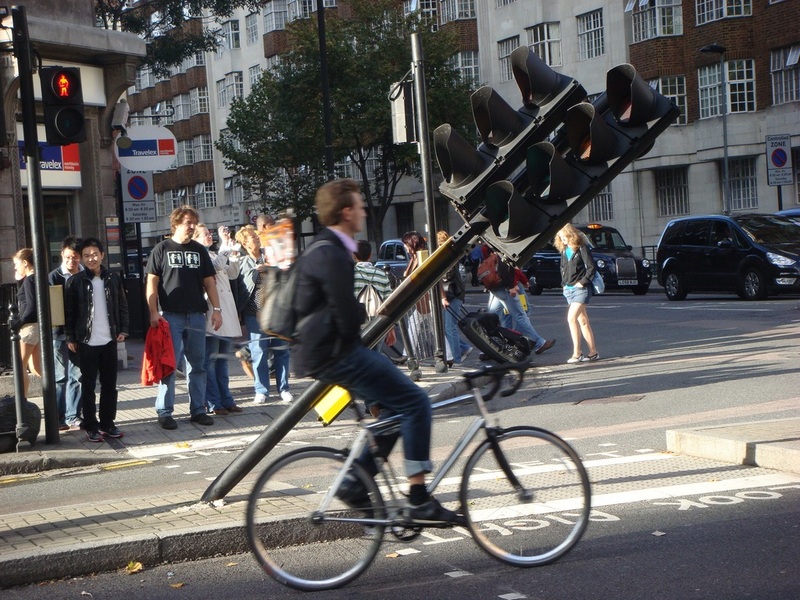 This week I saw a bloke walking across a crowded Victoria-rush-hour concourse carrying………….a floor lamp! God knows where he was going or why! Taking the instruction to “Let There Be Light” one level beyond the walking floor lamp! At DMT last Monday we focused largely on reviewing the most recent improvement work against the documentation list and against the revised criteria in the updated OfSTED Safeguarding Inspection Framework. We’ve been working on a range of plans, policies and other documents that are needed as part of Annexe A (eg Early Help Strategy, LSCB Business’s Plan, Annual Report on LAC Attainment and Progress). Broadly everything we need is in place so we are now focusing on more detailed aspects within some of the Annexe A documents we will need to have available. Following on from this Richard gave us an overview from the recent series of case file audits. As anticipated they suggest practice and recording continues to improve overall but it’s not yet consistently as good as we want it to be. So we are focusing on what needs to be done to secure practice that is consistently good in all areas. The other main area of discussion at DMT was on budget. We reviewed Month 6 and for our division we are on track to deliver all of the required savings and an additional small underspend by the end of this financial year. We also reviewed the options for future budget savings. Members have asked for reports on Children’s Centres and Spinning Out Services to Schools for their December meeting and have decided that other potential saving options will be put forward to the March 2015 CFE Meeting. On Thursday last week the Chief Executive and myself were both meeting with school governors and Headteachers. Niall was discussing and responding to questions about the Council restructure proposals for children’s and adult services, and I was updating governors about the Services for Schools Spin Out Feasibility Study we’ve just gone out to tender on. Governors and Heads had a lot of questions as you’d expect on both items. At this stage I expect the initial high-level feasibility report back about the beginning of February next year. I’ve committed to sharing the initial report with schools and I will also share it with the relevant staff in CYPLD too. I anticipate reporting any recommendations for the next stage of consideration to members in March 2015. These are currently being recommissioned. At this stage the specifications are complete and have gone out to the market. Currently we are awaiting tender submissions and from there, staff from CYPLD will be working with partners from the Clinical Commissioning Group to complete the process . Once the decisions are taken and the contract is awarded I will let you know the outcome . To maintain the early help focus on the right priorities, we have had the Families Matter locality area needs analysis updated and we will be reviewing this imminently. We don’t anticipate any major changes in the needs profile for any of the areas, nor do we anticipate any shift in the balance of needs between the locality areas, but we will check these and will continue to do this on a regular basis. We will also be using this revised data to redraft the Council’s Early Help / Early Intervention Strategy. Once we have finalised the redraft I will make it available to you but will also provide a summary of the key points . This has been redrafted by staff in the Safer Sutton Partnership. Jenny Rowley, Jackie and I are part of the Steering Group on DV and we are currently working through the draft before we feed our comments back to the wider Strategy Steering Group members. This is a crucial document for us given both the prevalence and impact of DV in the lives of a number of the children and families we are supporting. Again once the strategy is finalised and agreed I will update you and let you know the key points. …………………………………….I’m currently finishing the draft of this blog post on the early morning training out from Victoria. I have to share with you that the guy in front of me fell asleep about 2 nano-seconds after he got on at Clapham Junction (a talent reserved exclusively for men of a certain vintage according to my family!!!!!!!) Since then he’s been snoring all the way but better than that is he is…………………….well………………………………………….let’s just say he’s rather noisily expelling wind……………………………………….and with an astonishing frequency!!!!! AND FINALLY, FINALLY…………DON’T BOTHER FINDING YOUR VOICE ON THIS ONE!!!!! 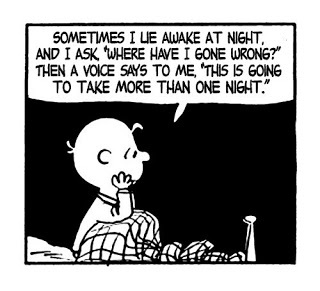 “There May Be Trouble Ahead….And It’ll Need More Than Moonlight And Love and Romance To Recover………. …………But before anybody gets concerned, the trouble ahead is the England v Scotland football at Wembley tomorrow. At home and with family I’m full of optimism, hope, belief. If I’ve said “I think Scotland will surprise you!” once, I’ve said it a thousand times. Alas no matter how often I say it, I know in my heart we’ve no chance! While I’ve been spouting that upbeat rhetoric for weeks out loud, in my head all I can hear is the voice of Private Fraser from Dads Army “We’re doomed! Doomed I tell you!”. (At last I know what it feels like to be a QPR fan!) So please be gentle with me if we meet any time from Thursday morning onwards!!!!! There is fortunately an antidote for me to those feelings of depression and suffering that follow a defeat by England at football, rugby, anything. This does it for me every time!!!!! 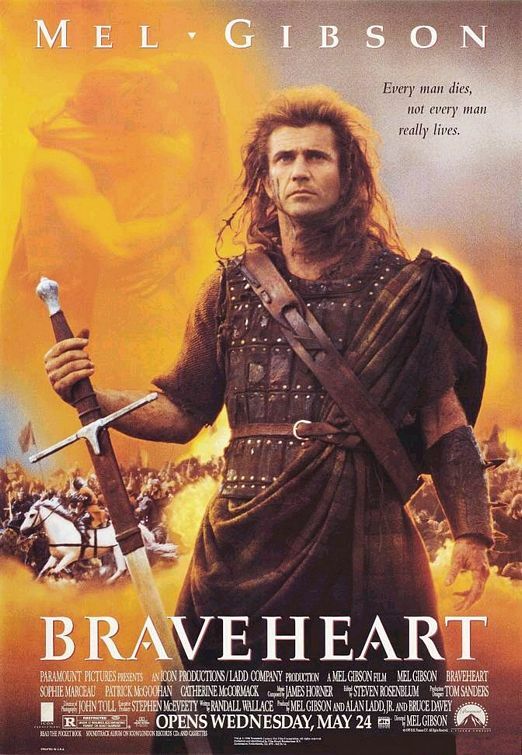 If Only William Wallace Still Played For Scotland!! Work on the proposed conversions of Carew Manor and Camden Juniors have been continuing during the summer. The legal and financial work for Carew is almost complete, and subject to Secretary of State decision, it is still on track for converting on September 1st. We received the external agency report for the Camden consultation at the end of last week. Response rates were very high at almost 550, and almost 98% of those respondents were in favour of Greenshaw becoming the school sponsor rather than the Harris Federation as the DfE would prefer. The rest of the consultation feedback is similarly in favour of the Greenshaw option. This is certainly validation of the local communities view. It’s been supported by letters from elected members, local MP’s and Tolis, all sent to the minister, Lord Nash, who will make the decision. We hope that this will help secure a decision in favour of the local solution, but to be honest I’ve no way of knowing how much, if any, notice will be taken of local views and the consultation outcomes. I guess it’s just a “wait and see”. We’re expecting a decision on Camden this week one way or another. 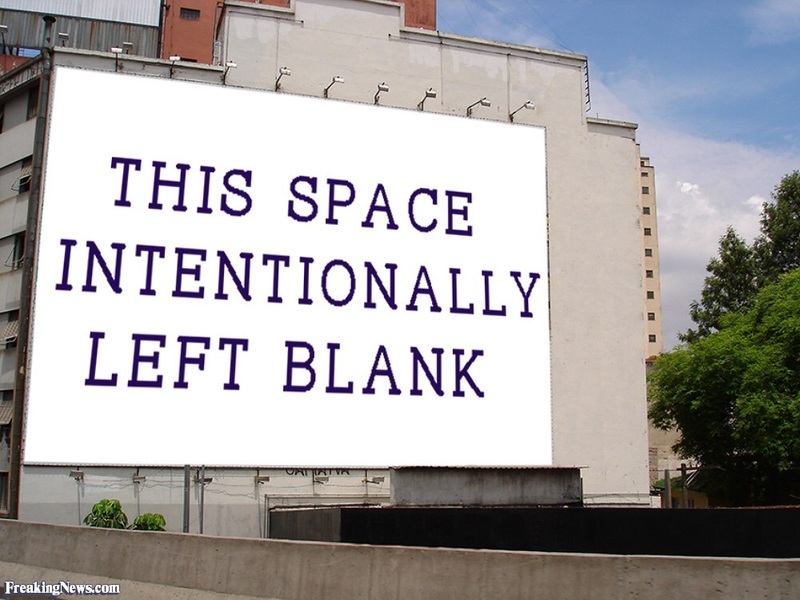 At a previous DMT we agreed a new approach to recording short notice urgent contracts in CYPLD. These are often used for urgent placements for children, particularly in social care. The new approach will need to be used for any spot purchasing arrangements managers in our division make when there is no formal contractual arrangement in place. At yesterday’s DMT we focused on the overall CYPLD budget and in particular how to approach the cost implications of some of the changes in social care, like the new Public Law changes and to also plan out where we may need additional funding in the future. We also agreed to use an extended DMT day on September 20th to work further on the longer term detailed implementation of the redesign in Children’s Services. At the end of Month 3 our divisional budgets are generally on line. There are some small predicted under spends in a few budgets but these balance out a couple of areas of slight over spends. We have also identified a significant proportion of our contribution to the overall CYPLD budget savings for Smarter Sutton and we will be finalising these in the next few weeks. However,we know that improving our budget management is an integral part of ensuring we make efficient and maximum use of the resources available to us. So, we will also be running a series of workshops for Education and Early Intervention budget holders, which will be be delivered by Nia Lewis, Jacky Bulbrook, Sarah Alderman and I. We’ll focus on budget reports, adding monitoring commentaries and respond to queries. All our budget managers will be required to attend the short workshops so we will plan them for the Autumn and offer a variety of dates so that we can be as flexible as possible. And the moral of the story is….Leaving booking your summer hols till the last minute might just mean you end up wearing a furry waistcoat! As in, we’re all going on a summer holiday!!!! The schools are of course on summer break. Theoretically it’s supposed to make work quieter but that’s not how it looks at my end and I’d reckon that’s not how it looks to any of you either!!! There are of course lots of you off at some point on leave. Personally, I’m off to Rhodes for a few days from August 26th. In my absence Claudette will be the Head of Service covering for me. I’m due back, ideally with a golden brown hue, though more likely to be a bright-red glow, on September 5th!!!!! If you are taking leave yourself over the summer, enjoy it! I know most of you will either have recently completed or be in the process of finishing off appraisals. These should be on the system now and managers should have signed off – so if you’ve not completed it please do so as a matter of real urgency. For Children in Need monitoring Jackie and I finished drafting up the data on CIN that we will use on performance a couple of weeks ago. 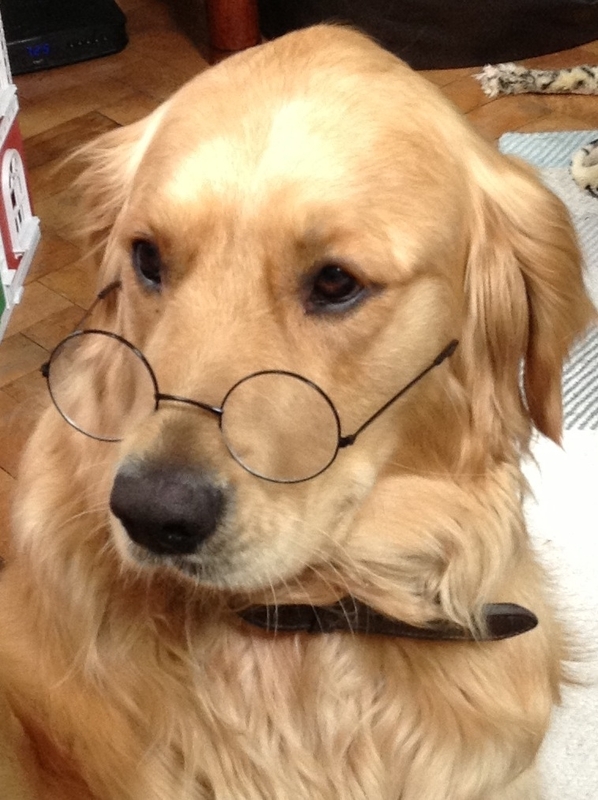 The Research and Intelligence unit is working up the reports for us on the dataset we have drafted. R and I are also working up changes to the monthly performance report to DMT. Up till now it’s understandably focused largely on the social care data set but going forward we will be including more of the key data from education and early intervention and prevention services. The last Children’s Services Improvement Board included a summary paper on the Sutton population profile based on the last census return. It’s an interesting and easy read and may be of use for managers as part of your planning for service delivery. I’ve posted it on the ISYP Intranet and there are details of how to access it below. Among the things which the next Improvement Board will focus on will be a report from us on the performance of the Youth Offending team in Sutton. The annual JAS Barbeque took place last Wednesday and was a great success, attended by 10 families known to the service – all of the food went like wildfire! There was an egg and spoon race, Hoola Hoops, Giant Snakes and Ladders, Giant Connect 4 to name but a few of the games and Nail Painting in the marquee. In addition, a number of young people contributed to a wall mural “What’s JAS about”, which offered some interesting reflections. All of the team who were present took part in what was a most enjoyable afternoon. Jonathan Williams started as the Head of Service for Quality Assurance in Sharman’s Division last Monday and Richard Nash started as the new Exec Head for Safeguarding on the Tuesday, replacing Ann Goldsmith who after the handover to Richard, will be leaving Sutton at the end of this month. I’ve met both of them this week as part of their induction and I’ve no doubt you’ll all get to meet them in due course. I will very shortly be asking for nominations and volunteers to host me doing back to the floor sessions. I’ve asked the Heads of Service to nominate one from each of their areas and for the others I will be asking for volunteers. I will also be writing to you in the next couple of weeks looking for volunteers to join a divisional staff sounding board with me. One of my favourite tracks at the moment in “Tongue Tied” by GroupLove. Now this might be another of those you think you’ve never heard of – but I know you have – for it’s the track for the current “Coke” adverts! As well as going around singing “Take me to your best friend now, I loved you then I loved now, oh oh yeah!”, I also spend time desperately looking for a “Share a Coke With….” can / bottle with my daughters name – so far to no avail! So if you are out and you see a “Share a Coke (or Diet Coke) with Frankie (or Francesca) can you please, please, please, buy it for me, let me know and I’ll re-imburse you! And in advance of my thanks, here’s a quick burst of Tongue Tied!!!! ………………………In the past I’ve commented in these blogs on the strange and unusual sights I come across in my daily commute. Today though I want to share the joys of the new platform announcer who frequently does evening rush hour on the Victoria Line. He’s got this fabulous West Indian accent, a real warm, deep, rich lilt in his voice. This is how he greeted us last night. “Hello you beautiful sunshine people. Take it easy on the platform. Just relax, slow it down and smile at the other passengers. And good news today is that Christine Ohorugu won the 400m at the Athletics. She smashed it up man!”. The train pulls in and he sees us off with ” Respect and One Love to all of you tonight! Be good to one another!! Mr Driver, Take these lovely people where they want to go!!! !”. And I swear the whole sardine-style rammed carriage is smiling. I’ve no idea if this is TFL policy – but it should be. Respect and One Love to you for the rest of the working week!!!! It Is Now Officially Safe To Go Back In The Water……. ………OfSTED have gone!! The Unannounced Inspection isn’t actually finished, as we will have exchanges with them as the report is worded up and finalised through their moderation process, but the on-site part of it is over. I want to say thanks to everybody – whether for your direct engagement with the inspectors or for your indirect support to me with answers to queries, providing data, or providing documents and or for just asking me how the inspection was going even when it didn’t affect your area of work. I was struck by that in the last fortnight – everybody I met or spoke to, in schools, among governors, in corporate teams and in CYPLD teams outside of Early Intervention and Social Care, had asked me how it was going. It really did create that sense that everybody here realises that keeping Sutton’s children and young people protected from the risk of harm is everybody’s business. Henry’s complaints about the OfSTED Team judgements were met with their complaints about being given the narrowest feedback table in the world!! Tolis, Ann, Palvinder and I attended the OfSTED judgement meet last Wednesday. It’s a new-ish addition to the methodology and allowed us to observe their meeting which is them reviewing their evidence base, formulating their judgements and then testing one another out on those judgements. We were only allowed to observe and could say nothing (you even have to sit to one side so you don’t influence them with eye contact or body language!!!). It was almost impossible for me (as I like to talk as you all know!!!). It was however both informative and interesting. 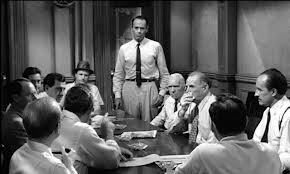 The best way to describe it is that it reminded me of watching the old Henry Fonda film ‘Twelve Angry Men’ – but without the anger!!!! We then went from that meeting straight to the feedback meeting where they presented their provisional findings to the Council (CMT, key elected members, DMT). At this stage the judgements are confidential and have still to go through OfSTED moderation, and I’ve been through enough inspections to know that the moderation process frequently changes wording and sometimes even judgements!! So my apologies, but I’m not able to share the judgements at the moment. However, I will say the feedback matches our own view of progress so far and our own assessment of what we still need to do. In addition there were a lot of very positive comments in the feedback about the parts of our services that were focused on – Sutton Family Centre, Joint Adolescent Service, Early Intervention Prevention Service, our Children’s Centres, and support for Home Education and Children Missing Education. Overall, regardless of what might change through moderation, I’m certain that what won’t change is that they agree we are in a much better place than we were 12 months ago. The report is due to be published on June 24th. Once the report is finalised I will share the detail of those positive comments that came about our services during the inspection. The Water Is Definitely Safe – I Know – I Checked It – Literally! As you know, on hearing that OfSTED had arrived for an Unannounced Inspection last Monday, on the back of the DfE Review only just having finished, I admitted that my first thought was the Jaws film strap line ‘Just When You Thought It Was Safe To Go Back In The Water! !’ I should have known better than to be even slightly irreverent about OfSTED! I tried to get in to work earlier in the day and as you know I live out in the Essex countryside, so during OfSTED I walked the dog just after dawn! And on one morning the dog shot off down the bank in pursuit of a rabbit and ended up in the river! Alas the bank was too steep for him to get out of the river so I had to go down the bank and get him – and of course if it was too steep for the dog………..! In I went for an early morning paddle!!!! Serves me right for tempting fate with comments about OfSTED and water!!! Today we’re looking in more detail at the Unannounced Inspection feedback, to consider what changes or additions we might need to make to the Improvement Plan in light of their findings. We will also be considering two reports from our division with proposals for exploring future delivery structures for both our Schools Management Information Service and our Music Service, as part of the wider Children’s Services re-design. Both our schools in OfSTED categories are now out to consultation on sponsored academy proposals. Carew’s consultation is now moving to the TUPE consultation for the staff. Meantime the Harris Federation are starting their consultation as DfE’s preferred sponsor for Camden Juniors. However Greenshaw High are now approved sponsors, and the preferred alternative sponsor of both the LA and the school Governing Body. The Camden consultation is therefore likely to be more contentious and if you live locally you may have seen local media stories about the consultation. The LA view here isn’t that Harris would be a ‘bad’ sponsor but simply that a local sponsor, through Greenshaw, is a much better solution for all the pupils at Camden than Harris will be. When it came to casting Dumbledore for a home movie version of Harry Potter, we were desperate! I took my family to Harry Potter world in Hertfordshire last week. If you’ve not been I can thoroughly recommend it. I’ve seen only the one of the films but read all the books – so I loved it. The kids did too. However even if you’re not a fan of the films or books, it’s well worth a visit as it is quite brilliantly done! Continuing my series of the weird and wonderful that I see on my way to and from work, which I know you all must have loved last time I wrote about it, if the feedback at home to the same news is anything to by (i.e. Partner “If seeing a bloke with a sword is the highlight of your day, you need to get out more”and Daughter “You are a very dull man!”). So in anticipation of brightening your day further and on the back of that ringing endorsement from my family, this weeks ‘Odd On The Underground’ were a bloke at Oxford Circus pushing an upright vacuum cleaner down the platform and a man at Victoria holding a massive arrangement of peacock feathers! More fascinating insights into life underground next time – maybe! Please take the opportunity to sign up to the blog by clicking the ‘follow’ link on your right. It means you’ll get sent the updates automatically and so won’t be reliant on a link being sent out through the heads of service. On another point, part of the advantage of a blog is the opportunity for sharing your thoughts, opinions, questions, and suggestions with me and your colleagues. But to date most of you seem wary of leaving comments! So, when I was drafting this last night and I was wondering how to encourage you, I happened to overhear the viewers competition on Britain’s Got Talent, which my family were watching!!!! The prize was £50000 cash, holidays in Las Vegas, New York and London, with tickets to shows. It was a “eureka moment!” Well, if a massive prize works for Old Cowell and his v-neck jumpers I thought, it’ll work for me!!!!! As staff incentives go – it was a biggie – this wasn’t a challenge for any old mug! So having tried to coax you all to comment with questions, pleas and requests, I thought I’d try bribing you all with a prize you can’t resist instead. So, for the chance to win the fabulous prize on offer the question is even simpler than those on TV. Here it is!!!!!! Just by leaving a comment that says “Choose Me! Choose Me! Choose me! 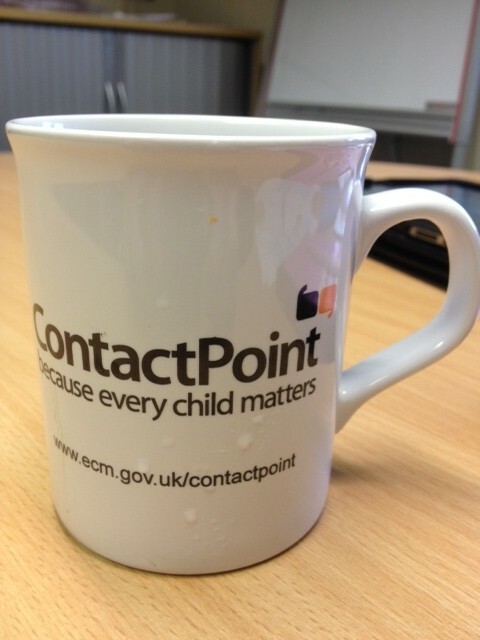 you could win – a beautful “Contact Point” mug (eBay re-sale value estimated, by me, at £50K plus!!!!! ), photos of Glasgow AND Greenock and MP3 samples of me singing songs from Sound of Music and Les Mis!!!!!!! Now if that doesn’t make all of you use the comments for the first time, then I give up!!!! Sooner than that, this Thursday, Tolis is hosting the next “Staff Sounding Board” session, on Thursday 30 May from 12.15-1.45pm in Meeting room 4 at the Civic Offices, so book now to avoid disappointment. Contact insight@sutton.gov.uk to reserve a space. …………..Some of you have been kinder than kind in commenting favourably on the heinous act committed on my head last week in the name of hairdressing in Essex!!!! I remain unconvinced and in a state of shock! Consequently I am still sheltering beneath the Senior Management balaclava. However my experience reminded me of a Charlie Brown cartoon where Charlie goes off to camp, and to avoid being teased about a rash on his head, he wears a paper bag! Bizarrely this truns him into a hero and he even gets elected camp president, known to all the kids as “Mr Sack!” Eventually Charlie Brown is persuaded by the other kids to remove the sack as they are desperate to know who the great guy under the paper bag is – with predictable and hilarious (though very sad) results. So learning from Charlie Brown’s experienece, the Senior Management balaclava is staying put till it grows back a bit more! My ‘Marie Celeste Workload’ Theory – And Why It Doesn’t Work!………. 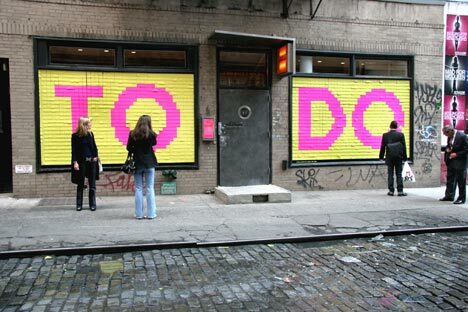 Now I See Where My Own Use Of To Do Post Its Has Been Going Wrong! ……….You’ll probably know that it is the schools half-term holiday this week. Because of the need to be around in ‘term time’ it is therefore a week when not only the schools are away, but also a week when a considerable proportion of the School Improvement / Advisory and Inspection staff take leave. And that’s where the ‘Marie Celeste’ theory comes in. With essentially a third of my ‘responsibilities’ away at the same time, that side of my work should be minimal and a bit deserted. That therefore should reduce my workload by about a third. The theory is simple, logical and perfectly rational – but it never works! This week my diary is as crammed as ever, my to do list is as long as ever and the proportion of my ‘tasks for today’ which are ACTUALLY finished at the end of said day is the same as ever! I don’t know about all of you but I think for me the crux of the problem is I ALWAYS overestimate how quickly I can catch up! My brain works something like this……”Letter to so and so – 20 mins tops” ( it then takes an hour)……..” Briefing note to draft for Tolis on Y – 30 mins tops” ( it then takes an hour)…….. ” Review OfSTED consultation on Z – be realistic that needs 45 mins..maybe even an hour tops” ( and does it take an hour? Try two!). So I’ve got a few days of catching up this week. On Monday I started with 32 things on my catch up list – this is Wednesday and I go on leave tomorrow so this is my last day. I’ve done 8 things on my list so I have 24 to do in one day! Even I don’t overestimate to that extent – even if one third of my responsibilities are on holiday! DMT meeting on Monday included feedback on corporate review of support functions. A number of you may well have contributed to this as staff with “support ” type functions in your jobs or as managers. At this stage at DMT we were simply reviewing overall feedback from meetings with support staff and managers. The key issue for CYPLD will be aligning the timing of any change with the broader redesign programme. I will update you when I know more details and especially when the clarity around what might change, how, and by when, starts to emerge. From our division we had a couple of reports on the agenda. The two Early Intervention services had done a combined risk assessment on a number of our early intervention provisions. As a result, I will now meet with Sharman Lawson to address some of the specific points in that report. In addition we had a paper proposing that we ask schools to work with us on reviewing a number of aspects of educational provision, that could be best described as being focused on how we can most effectively support and include the most vulnerable and at risk pupils in Sutton. The proposal was welcomed and I will now be approaching the schools representatives to consider next steps. Lastly we reviewed and agreed a draft multi-agency Looked After Children Strategy. Once finalised and adopted by the Council I will share key points from the strategy, and what I think the implications of it are for different services within our division, in either a briefing meeting or in a blog update. Sutton’s population is continuing to grow – and within that growth there is a significant increase in the number of children in Sutton. The knock on effect of this is that we have needed to make additional places available in our schools to ensure we have enough educational provision to meet demand. And of course, as is always with the case of these shifts in pupil numbers, they affect some parts of the borough more than others. We are already extending the number of places on a number of sites – this meeting of Primary and Secondary HT’s along with relevant Council officers, was focused on the projections for the future and the implications for meeting this rising demand. The three key messages at this stage are that the recent additions and the already agreed extensions at primary should address most of the pupil place demands in that phase for a few years. At secondary, the schools themselves were clear that their preferred option would be to add to existing schools before considering an additional secondary and we agreed that we need to manage the addition of numbs in such a way that it does not have any knock on effect on other schools in the vicinity. It was a really effective session and sets us up well for the more detailed discussions to come. I’m off on leave at the end of today as I said earlier. I’m off from tomorrow until next Wednesday. In the interim if there are any issues, the Heads of Service will refer to Palvinder Kudhail if necessary although I’ll still be checking e-mails and my work phone periodically – although I have to do it secretly as I’m supposed to be on a family holiday in Stratford-upon-Avon!!!! Recently I was in the car with my ten year old daughter. An item came on the news about the Booker Prize so she asked me about it. I rambled on and on about everything I knew about Booker, Salman Rushdie’s Midnight’s Children, Hilary Mantel, etc etc etc. she just sat there. When I finished she turned to me, took a breath and then said ” Col. When you worked in schools, we’re you a really boring teacher?”!!!!!!!!!! Have a good week and good weekend when Friday comes. As Julie Once Said – Let’s Start At The Very Beginning! If This Blog Becomes A Musical, It will Look Like This! ……….The place that’s the “very good place to start” is sorry – my apologies that it’s taken me so long to deliver the communications that you are entitled to – hopefully the post below this will explain to you why I’m now using a blog to do this from here on. I hope you’ll not only get something from the news updates and other posts that I’ll put on here but I hope you’ll interact with me too through the comments facility – if you have never used it before it’s really easy to do and I will respond (eventually!) And at this point I will reassure you that that is the one and only time you’ll see a quote from Julie Andrews in the Sound Of Music in this blog! PERMANENT ROLE OF EXEC HEAD! The Interviews for the Exec Head Role were demanding – but at least not like this! I was delighted to secure the permanent post with Sutton. The process was quite long– these things tend to have a number of rounds – a bit like Strictly Come Dancing but without the public votes each week! You probably know that the Multi-Agency Safeguarding Hub (MASH) is up and running, based at Sutton Police Station. Lynne Rigg, who was oreviously the Education Safeguarding Advisor, reduced her hours significantly from January and as a result we’ve restructured how we deliver this provision to ensure we can have a permanent representative for Education within the MASH. After interviews, we’re delighted to confirm we are appointing Jenny Wood to the post within MASH and Jenny will take up her new role at the beginning of March 2013. Our new inspector for SEN, Karen Shaw, started in her new role at the beginning of this term. Karen works as part of our Inclusion services, under Maria Marsh, working out of Chaucer. Welcome to Karen! Some of you will already be aware that Pat Butler has just retired from her role as Head of Service for our “Intervention For Young People” services. Her last day was officially at the end of December. Pat had signalled her desire to retire some time ago and in the interim most of the focus has been on agreeing when that retirement would take place. Losing someone of Pat’s experience was always going to be a challenge and there would never have been a good time to lose that vast knowledge and enthusiasm, which those of you who have worked with her with know only too well, but we reached a date which met Pat’s individual preferences and allowed the Directorate to consider how to manage in her absence. She will of course be greatly missed. However I’m delighted to tell you that our YOT Manager, Claudette Brown, will step up from her role as Pat’s designated deputy to take on the Head of Service duties with immediate effect. In order to ensure there is capacity in YOT as a result of Claudette’s move, she will be working with HR in the weeks ahead to offer the opportunity to relevant staff to express an interest in the interim YOT manager role, and beyond that we’ll add in the relevant capacity wherever we think it might be needed. I will update you further as the spring term progresses. The last change was on the transfer of the Intensive Family Support from the Joint Adolescent Service with us to the emerging new Families Matter service, sitting win the Chief Executive’s Department. There have been a number of shifts and changes of policy and decision around the development of this service, but just before Christmas it was resolved to transfer all of IFS now rather than in phases as had been originally considered. as a result Rory Campbell, Tanuja Cook and Mandy Dennelly have all transferred to new posts in the new service and I wish them and their colleagues in the new Families Matter provision every success. Directorate Management Team – We have these every week. They involve the DCS, Tolis and the Exec Heads, including myself – Ann Goldsmith, Palvinder Kudhail, Annette Madden and Sharman Lawson. The focus of the agendas is flexible, though at least once a month there’s a focus on performance monitoring including outcomes, HR, Finance, QA feedback etc. Generally, this is where much of the decision making takes place on policy, strategy and significant operational issues. At the meeting at the start of December we looked at a Risk Assessment Profile which school improvement had compiled on how each of our schools might be judged at their next OfSTED inspection. On the whole, most of our schools are likely to continue to be judged good or better. However there are a small number where there is a risk of them being judged as “requiring improvement” and so these will inevitably be a priority for us to support and challenge in the future. We also considered a set of high level options for delivering on CYPLD’s savings targets for 2013 and beyond. Some of these will be within our division and I’ll initially work with Claudette and Jackie on developing more detailed proposals and a thorough analysis of the risks and implications inherent within them. Then, at the most recent meeting, we reviewed the overall budget position at Month 9, an emerging Communications Plan for the Council and the current corporate project to review support functions across the Council. There was considerable debate and discussion about the last item as it will be important to balance an approach which maximises efficiency with ensuring commissioning directorates like ours have the specialisms and support flexibility we will need to deliver the highest of standards. In principle, I think the review of support functions is entirely right. My feedback focused on process, management implications at team level, engagement of managers in the review at the right stage, and some of the criteria we will need to apply when deciding whether or not not to make changes to a role, such as considering whether to centralise. One key message that I would want to emphasise for all of you who are budget holders is the importance of getting your budget set-up correct for 13-14 as we seem to have more control over that than in the previous year and also stress the importance of short summary budget narratives being provided back to your Heads of Service and to Finance, which clarify any queries or comments that might otherwise arise when budgets are reviewed. ………. As many of you know I go back and forward between Sutton and Essex on a daily basis. I come in by Tube and train, and on the whole the journey is fine and I can get a lot done, which is important when the journey takes about 2 hours each way! However travelling by Tube and aim is a rather solitary experience – and my fellow commuters look….well….miserable. And I wonder if I look like they do and they are thinking that about me!!!!! So a plea- if I arrive for a meeting, especially first thing in the morning, looking a bit miserable – challenge me! My family do at the other end of the day – and they won’t be as pleasant about it as you will be! ……..I’ve got several ridiculous phrases and quotes culled from songs, books and films that I use frequently – my family hate it and I guess you all might too – so this is an apology in advance for quotes from Shrek, Squeeze, Sylvester The Cat etc etc etc! One of them is to wait for a pause after someone says “So….” and get in with “a needle pulling thread????? ?” – which tells you two things. Firstly it is irritating! Secondly when I said that at the beginning of this blog post that it would be the only time I would ever quote from The Sound Of Music, I didn’t mean it! Amanda on Plus Ca Change……. News and Info for Education and Early Intervention Staff in People Directorate at Sutton Council – and for anybody else who's inclined to take a look! My Epilogue, My Swan Song and the Bru de Grace! A Man Called Donato……… A Silverback Gorilla………………And The Walthamstow High Street Karaoke! THE KISS…………………………. THAT LOVELY TRICK OF NATURE – OR IS IT?!……………………. IF MUSIC BE THE FOOD OF LOVE (LITERALLY)…..THEN I’M YOUR MAN! All Hail Macbeth…….and Taggart and Rebus! Things You Need To Know From Last Week – And A Few You Don't! Thinks You Need to Know From Last Week – And a Few You Don't!